Las Vegas is not the world's gambling capital because of the major casinos that exist in the city. While these casinos do contribute a large portion of their fame to enhance Las Vegas ' image in terms of gambling, it is really the fact that there are so many minor casinos constantly providing competition to the major players that makes Las Vegas the city of gambling. New casinos try to prove themselves in this city because if a brand can survive in Las Vegas , it can survive anywhere. While Circus Circus may not be one of the bigger players in Las Vegas , it is still part of the plethora of non-major casinos that are still great to visit. Circus Circus Casino is located on the Las Vegas Strip, making its location one of prime importance. It is located within walking distance of everything worth doing in the city and it is also in a location that is very easy to reach by any transportation method imaginable. Location is decidedly one of the major strengths of the Circus Circus presentation. This casino definitely brings their best to bear on the table games they offer to the public. If you were to sit down and count the tables that are present in the casino, you would find that they offer in excess of 80 different games for people to choose from. These games vary between recognizable games like blackjack and baccarat and some that are perhaps not as easy to pinpoint as being overly popular table games. This choice is something you won't get from some of the mainstream casinos and it really does enhance the gaming experience you can get in the city of Las Vegas . 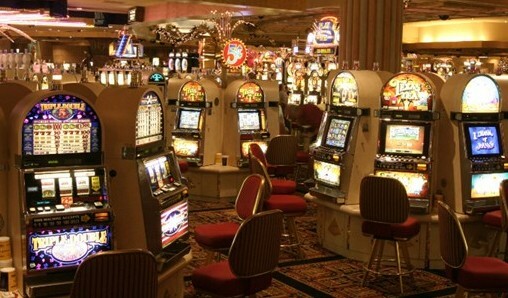 There are many different slot machines and video poker machines available for you to use at this casino. They combine to give you a massive 2200-machine experience spanning all of the popular games and several games that you might not see anywhere else in Vegas. This casino is also home to a poker room, following the lead of many of the biggest casinos in the business. The room offers both cash gaming and tournament gaming and is certainly a great place to go if you want to play a short or long session of poker. With many variants and betting levels available, choice is paramount. If you want more gaming in this casino, it is provided in the form of a racebook and a sportsbook, both of which come with television watching inside the casino. This allows you to place your bet and then watch the outcome unfold. Like all of the other casinos worth their salt in Vegas, this casino offers free drinks and entry into a membership program that can carry cash rewards with frequent playing. With all of these different options available, it is quite clear that Circus Circus Casino is definitely a major player in Las Vegas . The name brand might not be as recognizable as some of the others in Vegas, but it is still definitely worthwhile.